As I’ve redundantly mentioned over the past few months, I spent this past spring studying abroad in London. While there, my friends and I got up to quite a bit of traveling — mainly over weekends. Needless to say, we became pros at making the most of our time in the cities we visited. Berlin was one of the cities we had the privilege of exploring. Out of all our travels, it was one of my favorite destinations and therefore seemed fitting for my first “A Weekend in…” series. To be honest, before going I had absolutely no expectations for Berlin. It wasn’t somewhere I had given much thought to (aside from the fact that since I knew nothing, I wanted to visit), and my roommate did most of the planning for our trip. Basically, I didn’t even know what the “must see’s” were before we actually got there. 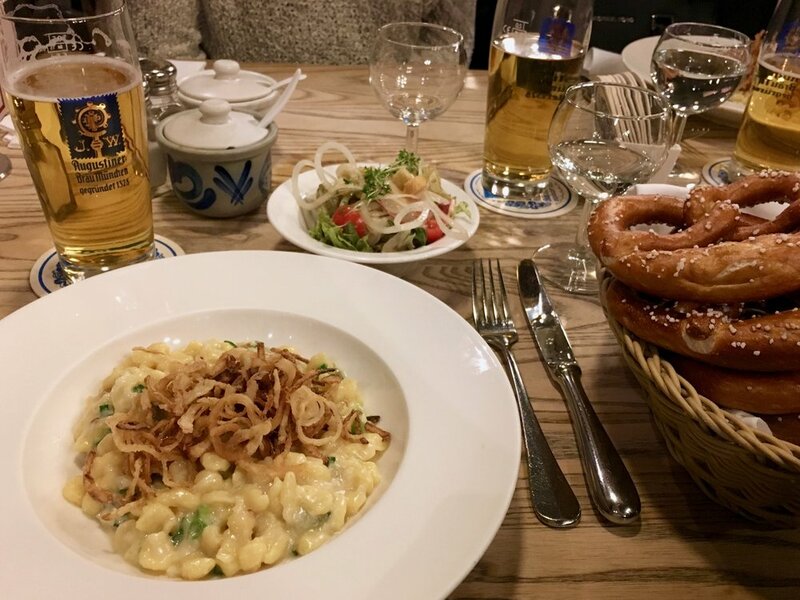 Here’s what I recommend doing, seeing, and eating to get the full Berlin experience in just a few days. I’ve recommended this to absolutely everyone I know who's traveled to Berlin recently. It is a big city, and it’s hard to know where to begin when you haven’t acquainted yourself. 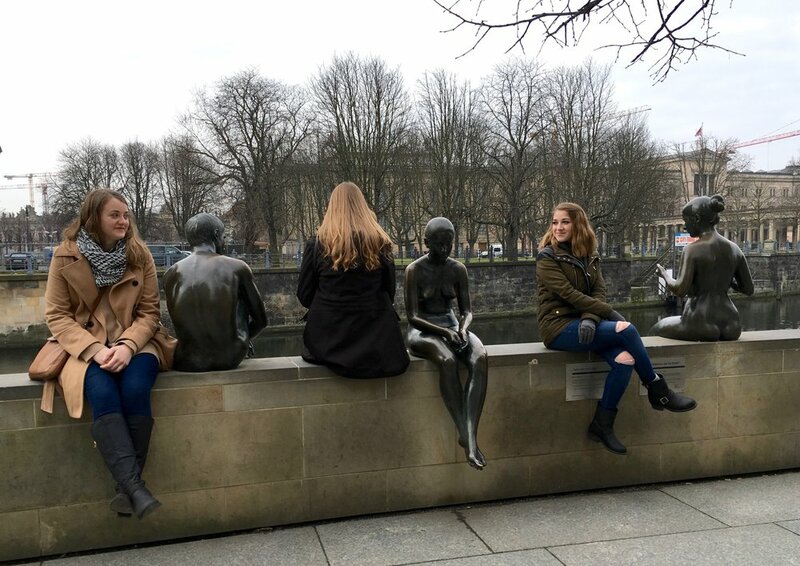 There are tons of tour options, but we did Berlin Walk's Discover Berlin, which takes you past a lot of the major sites. We bought tickets right at the airport — 9 euros a person for 4 hours. Note: There are free walking tours you can look into as well — Alternative Berlin is a popular one. It’s cheaper than the entrance ticket to the TV tower (Fernsehturm), and our tour guide said he much preferred the view from the Berliner Dom. Since we didn’t actually see the view from the TV tower, I can’t speak on the comparison, but it was quite a view indeed. This street food classic is as common as dirty water hot dogs are in NYC. Therefore, although I’m not a currywurst expert, I imagine the same concept is true: the less fancy looking, the better. Personally, I much preferred spätzle (egg noodles) to currywurst, but it’s such a cultural thing that it’s worth tasting. 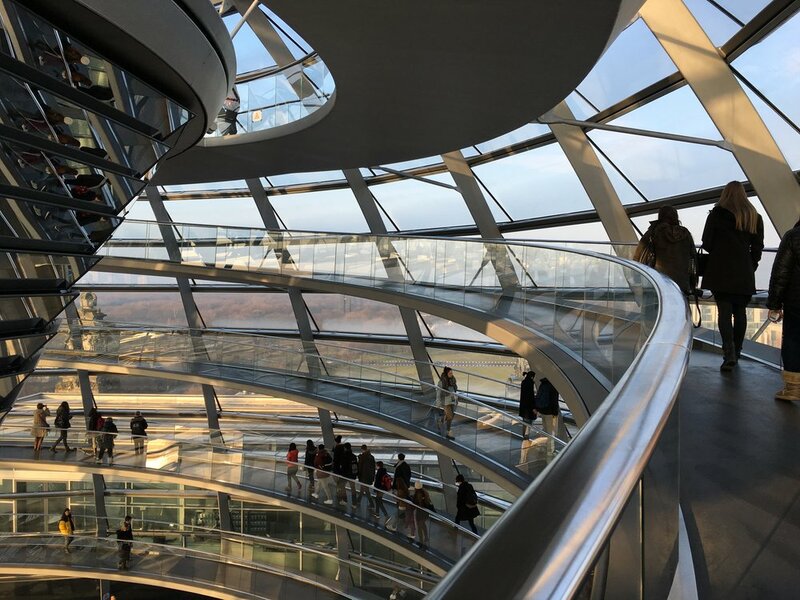 The Reichstag building is home to Germany’s parliament, and the beautiful dome on top is spectacular. Designed by British architect Norman Foster, the postmodern dome is not only an interesting contrast to the old world revival style architecture of the rest of the building, but the spiraling ramp inside the dome is truly a unique experience (with amazing views). Tip: Book in advance! We went in the middle of winter and reserved only a few days ahead of time, but during peak season it gets booked almost months in advance. Take a break from all that walking and enjoy a cold beer and a fluffy pretzel. I’m not much of a beer person, but I truly enjoyed my Augustiner Helles (brewed in Munich). Do I even need to make a point of saying I loved the pretzels?